Just in time for all that local produce starting to appear in gardens, farmers’ markets and even grocery stores….a new vegetable cookbook. I’m very excited about the way my revised vegetable cookbook looks. 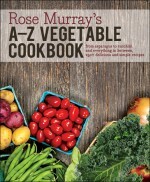 Formac Publishing did a fabulous job of bringing my 1983 vegetable book into this century. They left the beautiful illustrations that I love so much, but added a bit of colour to the pages in the titles and hints. I have left in all the history, choosing, storing and general cooking information for each vegetable, but have added even more information as well as some vegetables I didn’t feature last time. 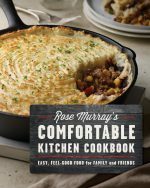 In addition, I took out a few recipes that seemed no longer relevant, but left in some classic favourites and added 100 new recipes, especially more ethnic ones, that will have great current appeal. 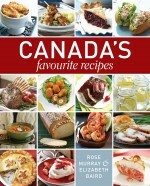 As well, there is a whole chapter devoted to Vegetarian Main Dishes…enough for several weeks of Meatless Mondays! There is a good index, but because it’s an A–Z Vegetable Cookbook, you can easily leaf through to find the vegetable you just picked and a recipe to capture its goodness.